Lori is a young artist who also loves horses. Storm is a wild, yet beautiful Arabian that she has fallen in love with. However loving Storm and owning her are two different things. When she finds out Storm is for sale, she does whatever she can to earn the money to buy her. 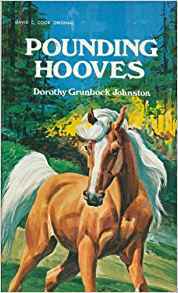 What happens though... another young girl who's not only her rival in the affections of a young man in their class, but also has her eye on Storm and happens to be very rich claims the mare for her own. Will Lori have to give up her dream horse?